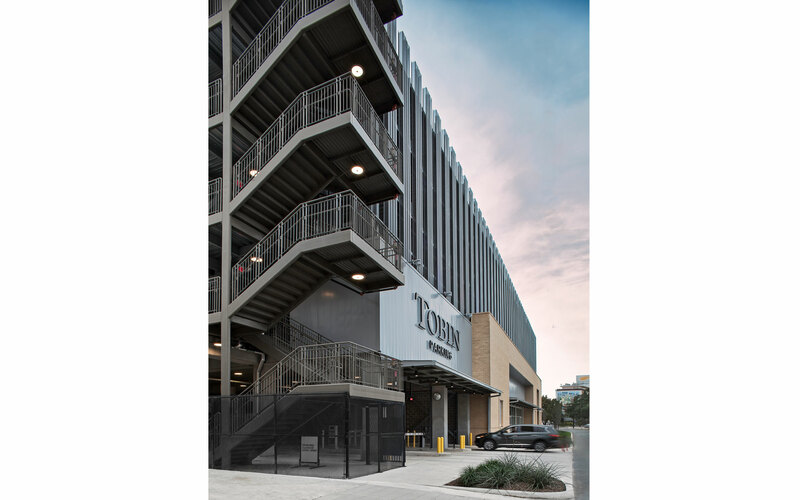 The Tobin Center for the Performing Arts and First Baptist Church formed a partnership to build a parking garage for Tobin patrons and church members. 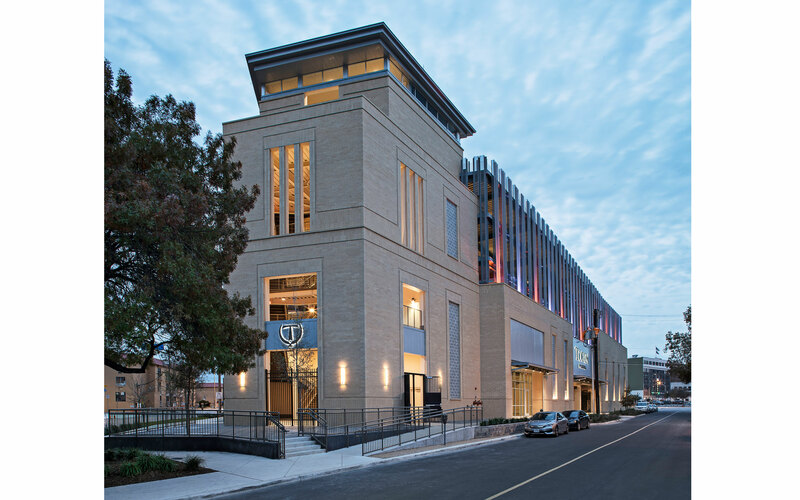 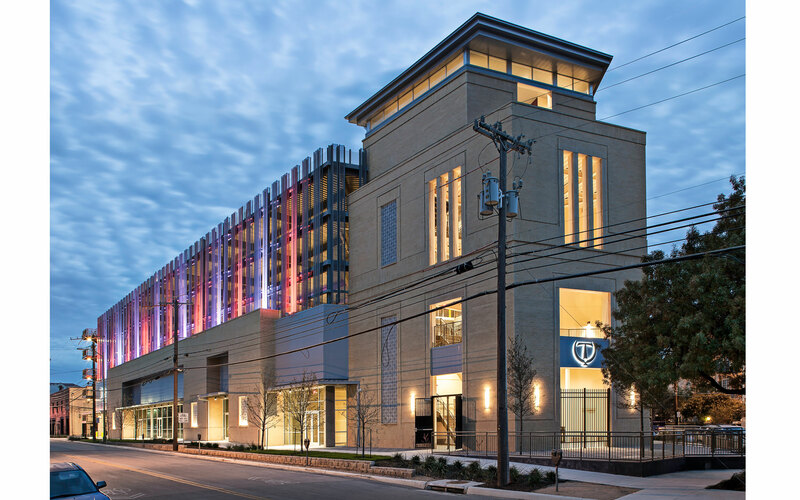 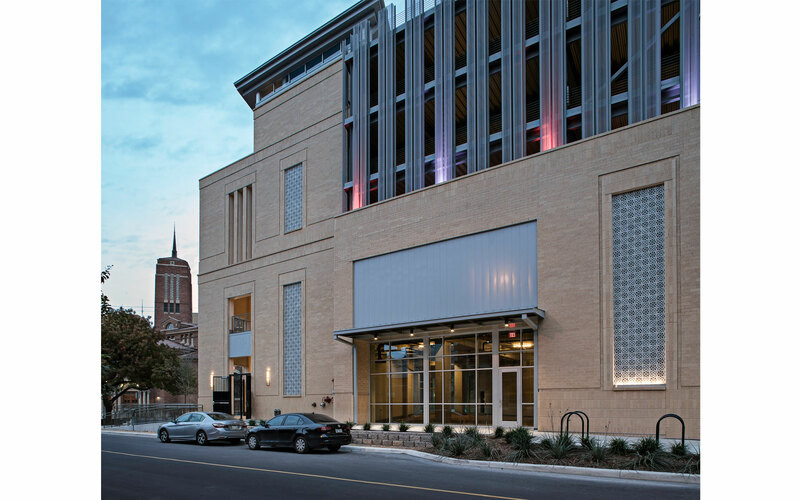 Within the confines of a one acre triangular property in downtown San Antonio, Marmon Mok’s design challenge was to park 500+ cars and provide 14,000sf of commercial space with an aesthetic that relates both to the Tobin and First Baptist Church. 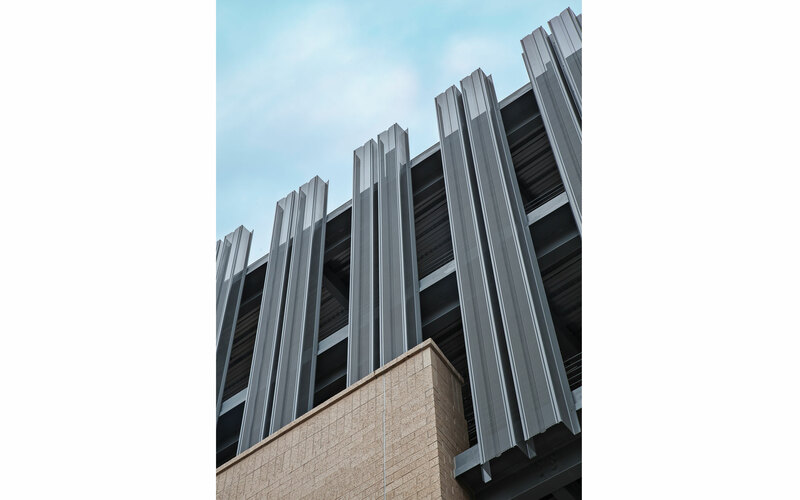 Our design blends in the six-level garage into the River North District by utilizing the commercial and vertical circulation as street scaled elements clad in a palette of neighborhood materials. 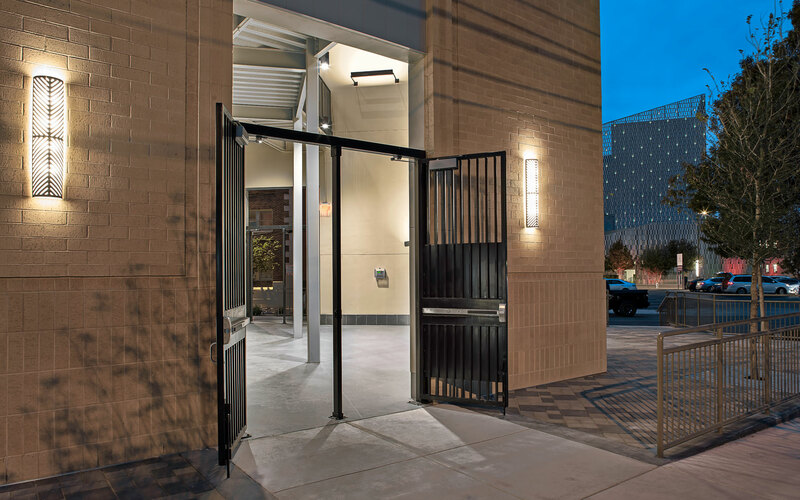 The entry lobby provides a focal point to the prominent intersection of 4th & Taylor, allowing users to engage the neighborhood as a public gathering space. 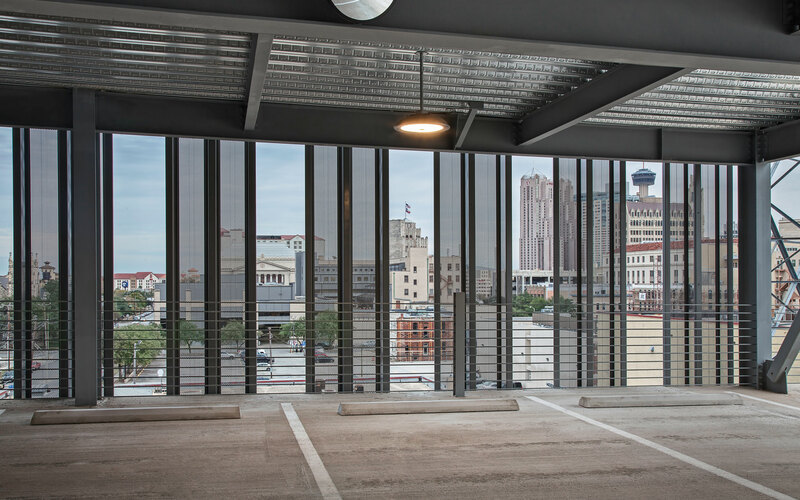 The more detailed, pedestrian scaled lower levels draw attention to the base while the upper parking decks are stepped back from the street and clad with deep, perforated metal fins for a softer, shaded veil at the top, reflecting the character of the nearby Tobin Center for the Performing Arts. 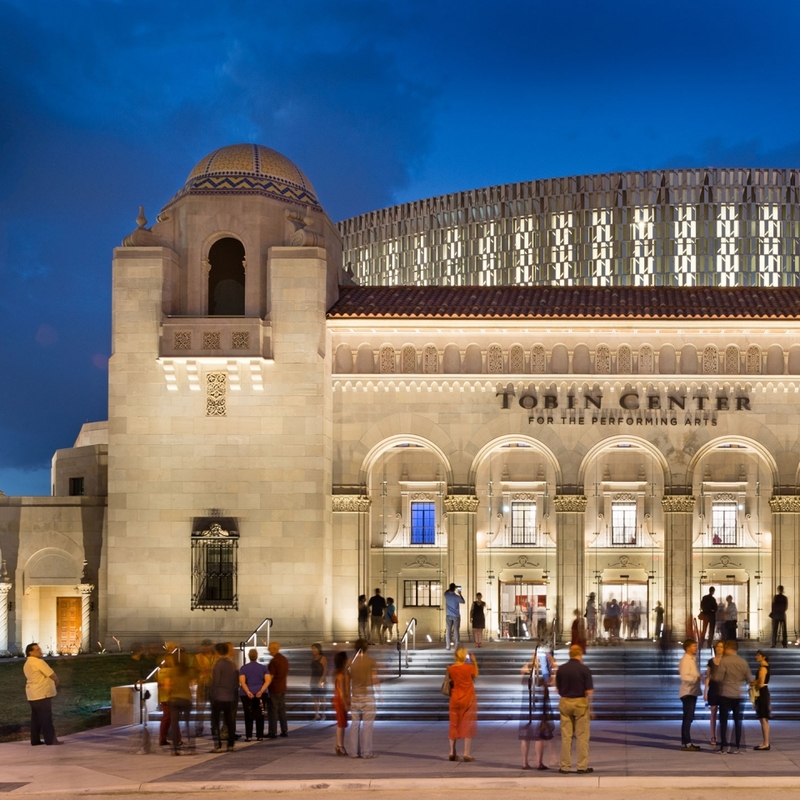 This project is located in the Auditorium Circle Historic District, River Overlay District, and included an Archaeological Investigation. 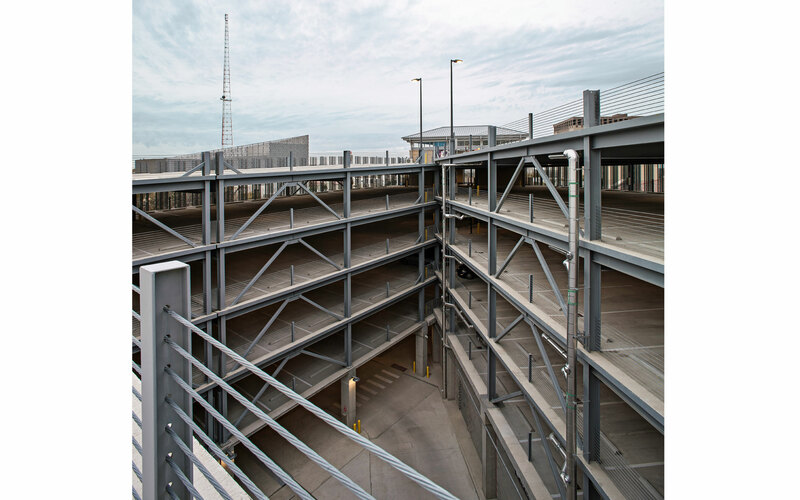 A First Look at the Tobin Center’s Parking Garage. 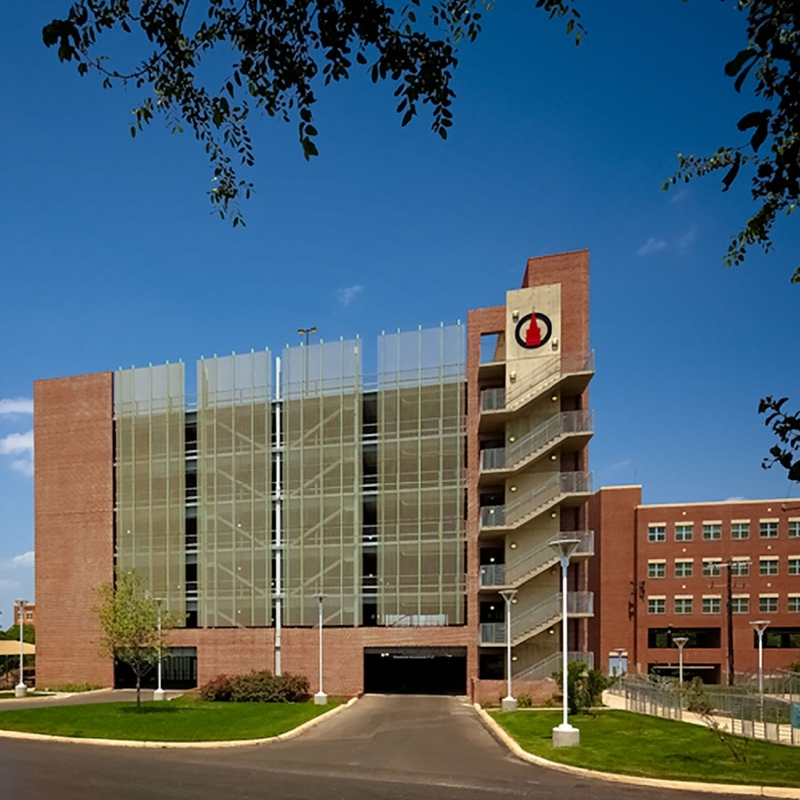 Benjamin Olivo. 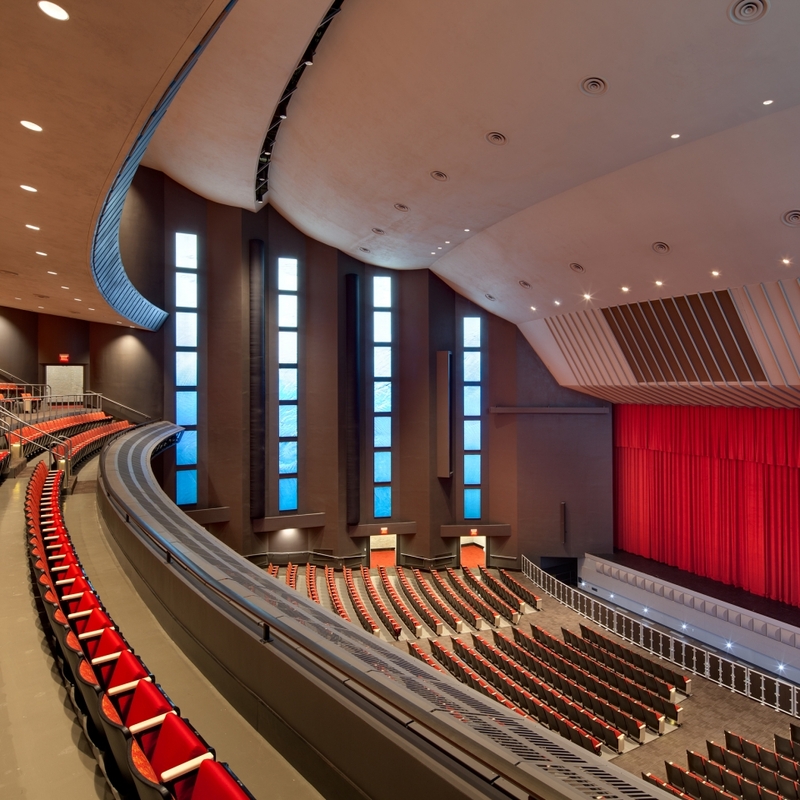 June 2014.